The Open Plant Science Journal is an open access online journal which publishes research articles, reviews, letters and guest edited thematic issues on all disciplines of plant science including plant biology, pathology, physiology, anatomy, morphology, breeding and genetics. The journal also welcomes contributions on horticultural crops including vegetables, fruits, ornamental & herbal plants and protected cultivation both in post and pre-harvest stages. Unauthentic or confirmatory researches are not accepted. 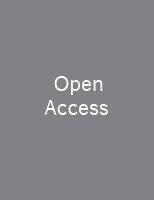 The Open Plant Science Journal, a peer-reviewed journal, is an important and reliable source of current information on developments in the field. The emphasis will be on publishing quality papers rapidly and freely available to researchers worldwide.